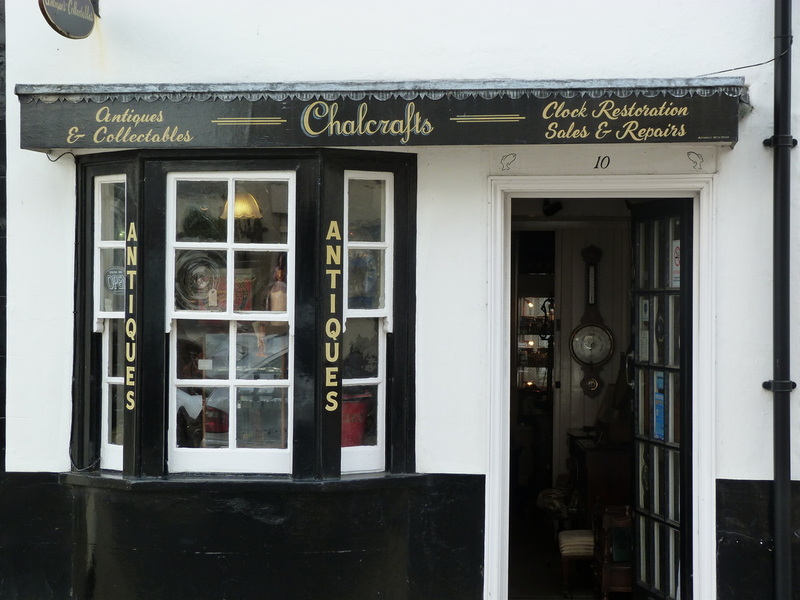 "Chalcrafts" is a family run antiques business that has been have trading for nearly 40 years - two generations currently trade from our shop which opened in Emsworth in 2002 (with previous outlets being located in Arundel and Felpham). It was a great compliment recently to be described by fellow trader as "an antique shop in it's purest form. "We are a family business in the truest sense. Martin is our founder and clock expert - what he doesn't know about fusee wall dials isn't worth knowing! He is also an avid vintage vehicle fanatic - often unassuming dusty, oily boxes will reveal his latest treasures - vintage enamel signs, and petroliana abound! Liz brings the feminine charm to the business, alongside furniture, she selects some of the beautiful decorative items that bring out the best in our stock. She also specialises in bringing stunning jewellery and vintage silver to our customers. David is the young-gun of the business, son of Martin and Liz, he has the extraordinary knowledge of someone born into the business! David's penchant for Moorcroft pottery combined with his eye for anything out of the ordinary, brings exciting new finds to the shop. Our stock changes from week to week, and with our combined antique hunting talents we are proud to offer a joyous variety of antiques, art and curios.